You are invited to the first ever Six8 Fellowship reunion! We will be joining together for a retreat weekend! We would like to invite you to a weekend of rest and reflection on what it means to cook and eat together, share a table, and bridge the connection between loving God, serving our neighbor, and stewarding God's creation. We will spend time catching up, sharing meals, reading scripture, praying, and serving. It will be a time of community and connection. We will focus on Christian hospitality, the practice of communion, and how Jesus' love is reflected in shared meals around tables. We will spend time catching up, sharing meals, reading scripture, praying, and serving. It will be a time of community and connection. (This retreat is for Six8 Fellows, Mentors, and Staff from Six8 2017 and 2018). First Church of the Nazarene Student Pastor, Andrew Ar, will be leading us in devotionals all weekend. 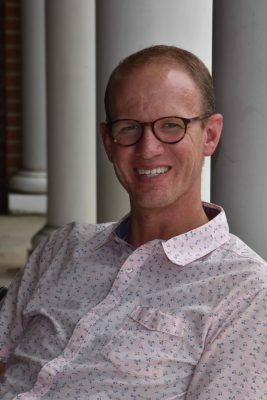 His philosophy of ministry is built around raising up authentic Christian women and men who are culturally engaged and transformative in how they live their lives.Andrew received his BS in Biology from Trevecca Nazarene University and after receiving his call to ministry went back to Trevecca and received his MA in Theology. Andrew has had more than ten years full time experience in youth ministry as well as over three year’s experience as a senior pastor.Andrew has been married to his wife Crystal for over sixteen years and they have four incredible children. In his spare time Andrew enjoys running, the outdoors, all things Marvel comics and leaning against pillars. We will be joining First Church for one of their services in the morning. Then, we will take part in their Sunday night ministry of cooking and sharing a meal with the homeless population of Nashville.